Leading Manufacturer of contact resistance micro ohm meter, resistance micro ohm meter, micro ohm resistance meter, contact resistance ohm meter, ohm meter and contact resistance meter from Pune. We are offering Contact Resistance Micro Ohm Meter to our clients. We are offering Resistance Micro Ohm Meter to our client. 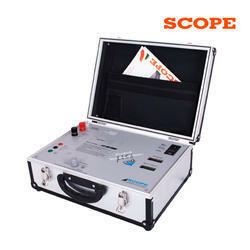 We are offering Micro Ohm Resistance Meter to our clients. We are offering Contact Resistance Ohm Meter to our clients. 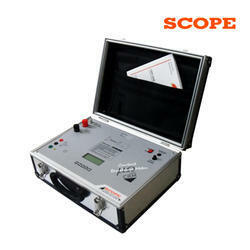 We are offering Ohm Meter to our clients. 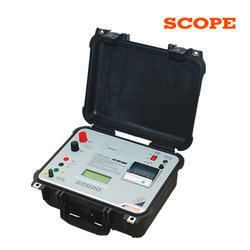 We are offering Contact Resistance Meter to our clients. Typically used for contact resistance of circuit breakers, isolators, bus bar joints, earth switch joints etc. 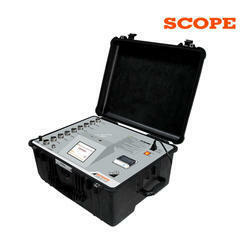 We are offering Digital Ohm Meter to our client. Can measure DC winding resistance of large rotating machines, highly inductive test objects like Transformer, Generators, and Motors etc. 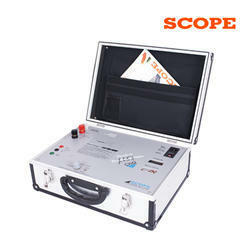 50 A DC current makes it possible to measure low resistances with high accuracy. One time connection to either all windings of primary and/or secondary. Simultaneous measurement reduces connection and measurement time. Back EMF Protection Yes. Automatic protection after measurement and during accidental disconnection of the current path. Protection operates even if Mains supply fails. OLTC Test Facility (Optional) OLTC test facility with current v/s time graph, Single or Three Phases simultaneously. Available in control through PC option only. Input Supply 110V AC +-15% 50/60 Hz +-10% Or 220V AC +-15% 50/60 Hz +-10%.